I’m a huge lover of red nail polishes, but one would never guess because I rarely feature them…well, here I am, featuring a red polish that is simply gorgeous. What is it? It’s Colors by Llarowe The Mighty Red Baron, of course! 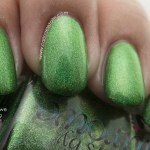 I was surprised at how much I loved this color – I’m going to have to get a back-up! Formula was like butter. It went on smoothly and dried quite quickly between coats. 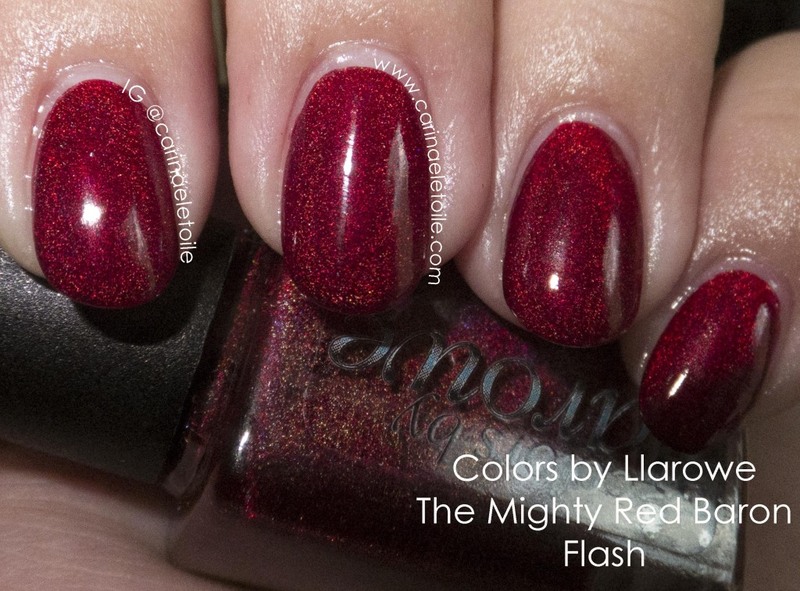 What you see below is two thin applications of Colors by Llarowe The Mighty Red Baron. What do you think? 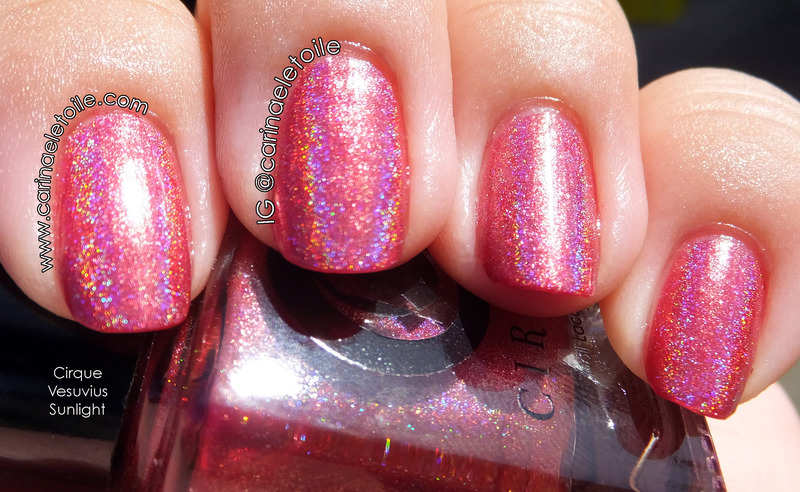 Please excuse the bubble…that was my crazy top coat. I’ve stopped using the top coat because it’s been bubbling quite a bit…driving me crazy. 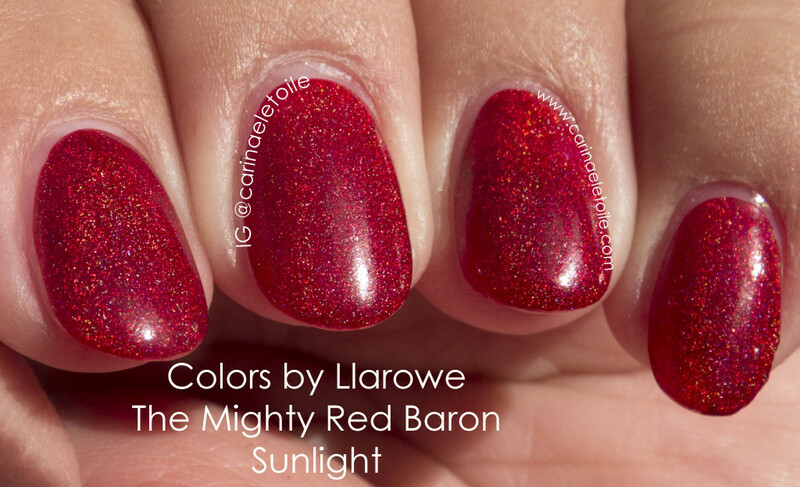 It glows in the flash, but Colors by Llarowe The Mighty Red Baron gets even prettier in the sunlight — I promise! 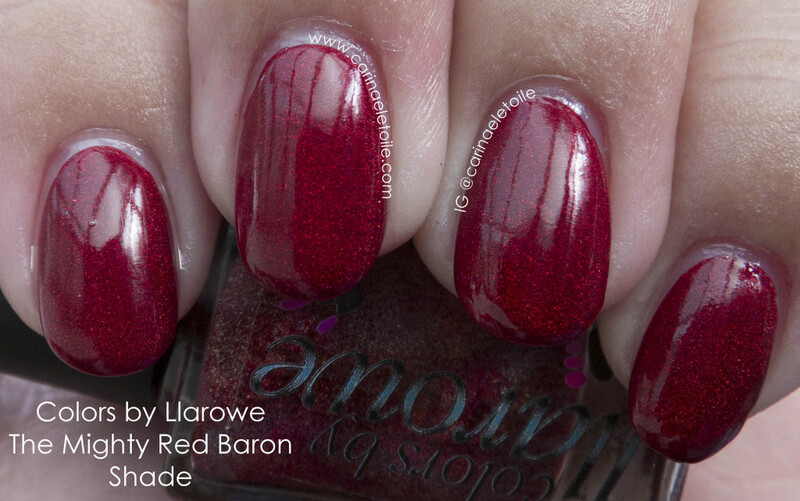 It glows here, but in person, you would be absolutely captivated by Colors by Llarowe The Mighty Red Baron. 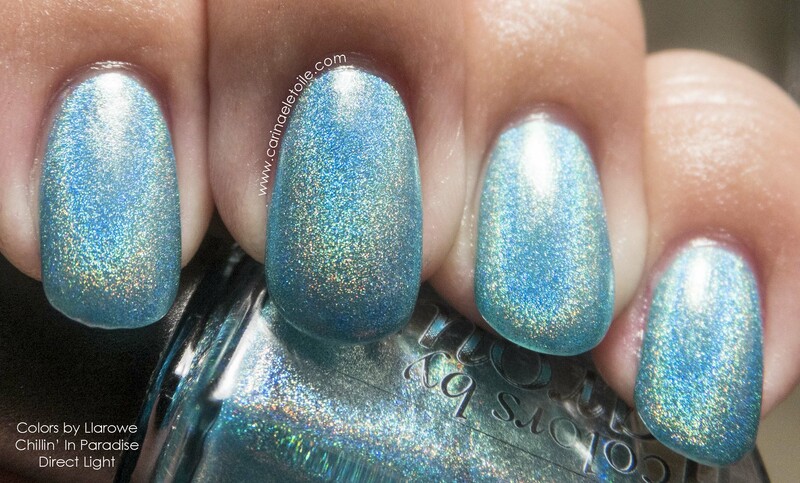 I’m a late comer regarding Colors by Llarowe – I discovered her stuff late 2013 and whenever I’d try to purchase colors, they’d always be sold out. Frustrated, I never really purchased anything until January of this year and I have had no regrets. I’ve found that her formulas are consistently good…and her colors are totally awesome. 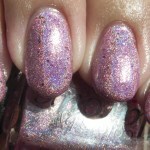 Somehow she manages to produce colors that make me want to keep buying her polishes. Good for her, but verrry bad for my bank account. I’ll be featuring more colors that I’ve bought from Colors by Llarowe very soon…coming up is Llarowe’s A Box, Indied. It’s very gorgeous! Wow, love this. What a stunning red! 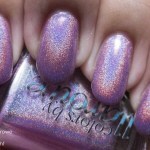 Lou wants you to read…New Things I Have Spotted #85 – New Maybelline Color Show Acid Wash Effect on the Horizon?? Isn’t it? It’s also even more beautiful in person.